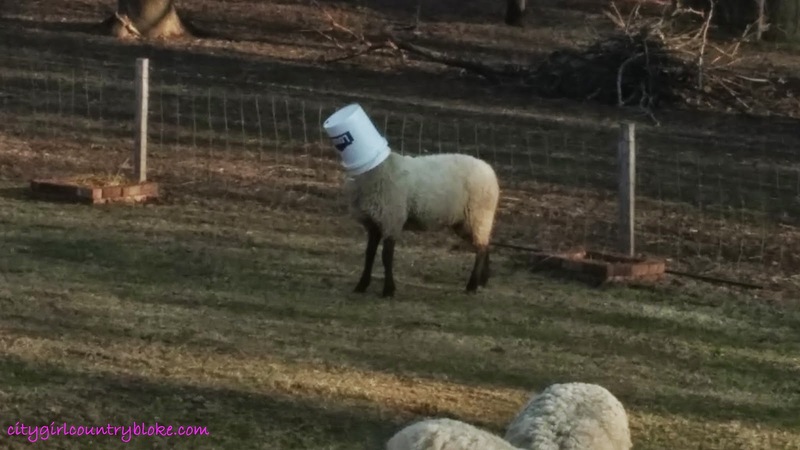 And no, we did not put the bucket on poor Marrio's head. But we did have to take it off! Our poor ram, Marrio, just can't catch a break sometimes. He's a beautiful ram but not to bright sometimes. Before Country Bloke swept me off my feet, I dated a few men like that. Lol. 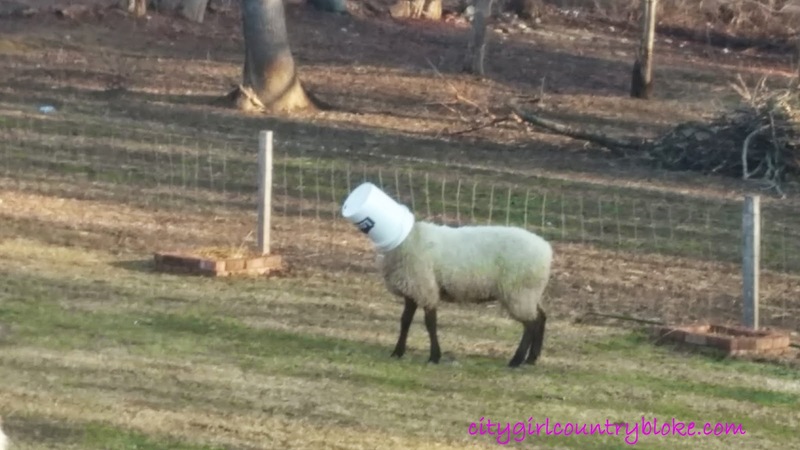 Apparently Country Bloke used that bucket to give the sheep some grain and, in his usual fashion, left the bucket out in the yard. Marrio is able to sniff out even the smallest amount of grain. So what do you think that blessed creature did? Well, he stuck his big ole head in there in an effort to ensure any and all grain was promptly disposed of. Only problem, his head was too big for him to get out of it!! Poor thing was running into fences and tripping over things. Country Bloke had to run out there (after he was done taking pictures and have a good laugh about it), corner the poor beast and yank the bucket off his head. Marrio suffered no injury (except maybe just a little of his pride). And all while I was at work! Things like this are a daily occurrence on this blessed, wannabe farmette! Hope this made you smile today.